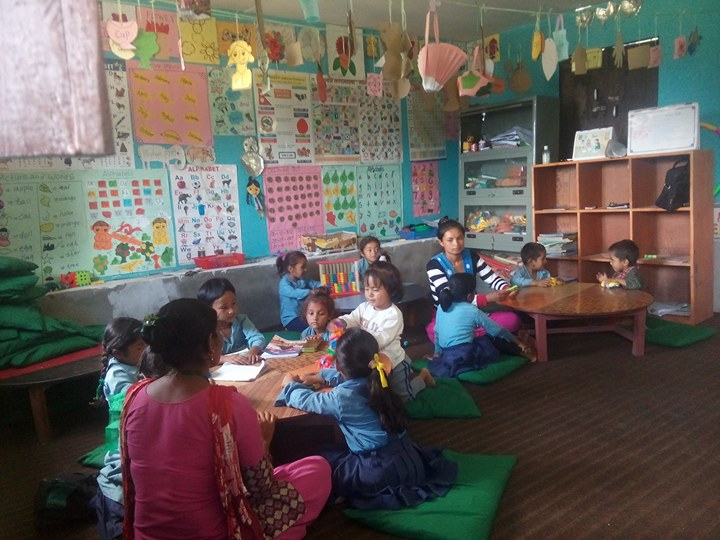 Pictured here is the early childhood education (read: pre-k and kindergarten) classroom in the new building that ETC recently had constructed at Gujarpa School. These young kids are receiving a quality start to their academic lives in a structurally safe and child-friendly/appealing environment. Major added bonus: if their older sisters would otherwise have had to stay home from school to take care of them, now they don’t have to! Thank you to all of ETC’s friends past and present who have made this possible.